The Willis Avenue School is a public elementary school serving children in grades pre-k through 5th in the poorest congressional district in the United States. It has an enrollment of 675 students. • 97% receive free or reduced-price lunch. • 19.5% are English Language Learners. • 31% were chronically absent (missing 20 or more days of school) in the 2012-13 school year. The school is located at 383 East 139th Street in the Mott Haven neighborhood of the South Bronx. We're grateful to Jaguar Land Rover, our Corporate Founding Partner for this program. The Margaret Douglas School is a public elementary (pre-k through 5th) that seeks to promote excellence in literacy, math, social studies, science and technology through the arts. The school enrolls 530 students. • 85.4% receive free or reduced-price lunch. • 9.8% are English Language Learners. • 35% were chronically absent (missing 20 or more days of school) in the 2012-13 school year. The school is located at 123 Morningside Drive in the West Harlem section of Manhattan. Thanks to the H & M Conscious Foundation, our Corporate Founding Partner for this program. 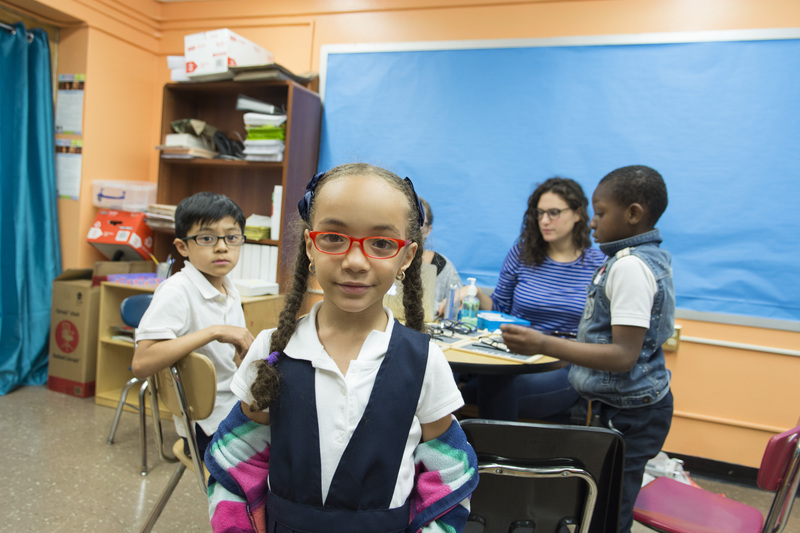 PS 140 offers pre-K through 5th grade to an enrollment of 650 students. • 91.5% qualify for free or reduced-price lunch. • 8.3% are English Language Learners. • 41% were chronically absent (missing 20 or more days of school) in the 2012-13 school year. The school is located at 916 Eagle Avenue in the South Bronx. Aspects of the Healthy and Ready to Learn Initiative are also being piloted throughout our National Network of fixed site and mobile clinical programs. All school statistics are from the 2012-2013 academic year.